I hope everyone is having a nice summer so far. With every pool season we go through the same issues and the Board does its best to address them, but can’t be policing the pool at all hours. I have included the Lee’s Crossing link to the rules for use of the recreation facility http://www.leescrossingmariettaga.com/lc_st_operating_rules.pdf . Please take the time to review. The main thing to note is no glass any time, children under 9 must be supervised by parent or responsible teenager, and the guest/party rules. These rules exist so that everyone can enjoy the facilities and feel safe with their young kids and family at the facilities. We have also had people from outside the neighborhood think they have the right to use our pool anytime they like. This could not be further from the truth. Because of this, we hope you all understand when the life guards, Board members or other residents ask about residency. None of these people can know everyone in the neighborhood. The offenders typically stop coming after being asked for residency but there are a few that will keep trying. The Board has several options under consideration to help reduce this outside impact in the future but until an agreed upon solution is chosen and implemented please understand the need to ask about residency. This message is for those dog owners that know their pet gets out of their yard and wanders the neighborhood unconstrained. We have had more complaints and concerns about dogs getting out of their yards scaring walkers or attacking other dogs. Please make every effort to ensure your yards are secure. Any resident can call animal control to report a loose dog. Some of the residents know who owns the dogs in question. We would hate to see any pet taken by animal control due to lack of owner attention on this issue. Warning: Complaints have been received about unlicensed vehicles being used through the neighborhood. This would be the off-road motor bikes and ATV vehicles. Residents are tired of the noise these vehicles make and the safety concerns this inflicts on our streets. The Marietta Police zone commander has been contacted about this issue. Residents witnessing use of these vehicles can call 911 to report violations. On a much lighter note, you may have noticed changes to our landscaping at the front entrance and around the clubhouse. This is all due to our neighbors Diane Ryan, Evelyn Akin and their husbands Terry and Elmer working with our landscaper and a lot of personal time planting a cleaning up these areas. The Board really appreciates the work they have done and keeping on top of the landscaper to do the job we have hired them to do. The Lee’s Crossing Cyclone’s season has completed with a winning record. Great job team! I want to thank Susan Herr for another well run season. We would not have a team without your hard work which begins in February. I also thank all the others who volunteered their time for the team to make this another successful season. (Please see the Swim Team section in this newsletter). We do need a volunteer to be Assistant Swim Team Coordinator for the 2012 season to learn the job with the intent to be the head coordinator the following season. Now is a great time to step up, even if it is just to enquire about the job. There is a small amount of pay for the head coordinator job. Susan has been involved for the past 15 years and coordinator for the last seven. With grown kids no longer swimming, it is time to hand the reins over to a new coordinator. We would hate for the swim team to end because there is no volunteer. This position could even be shared with a couple of volunteers but not more than 2 people. This news letter was planned to come out on the weekend of the Fourth of July, so depending on when you read this I hope you all have/had a safe and enjoyable holiday! If you should ever have any comments or concerns, please do not hesitate to call me. My home phone number is (770) 499-9354. Congratulations to all the Cyclones on a winning season! The coaches, Caitlin Herr, Chelsea Herr & Cody Bly have worked our swimmers hard and all 130 swimmers showed vast improvement in their times and their stokes. It is always fun – and sometimes amazing – to see the improvement from those first cold practices to that last meet. This program requires a lot of parental support and I thank all those parents who contributed not only the time we require but the many who stepped up to do much more. A special thanks to The Berthelots and their crew for managing our concessions stand during our three home meets; Beth Krier who worked each meet so our swimmers had their ribbons available the morning after the meet; Dwayne Tutwiler for procuring the mats for the shallow end; Joe Fenton for fixing my ‘No Parking’ signs & Laura Fenton for assisting me at the meets. I must thank Brad too – not only did he put up with the three of us in ‘swim team mode’ each week but he also rebuilt all six diving blocks AND the lifeguard stand! 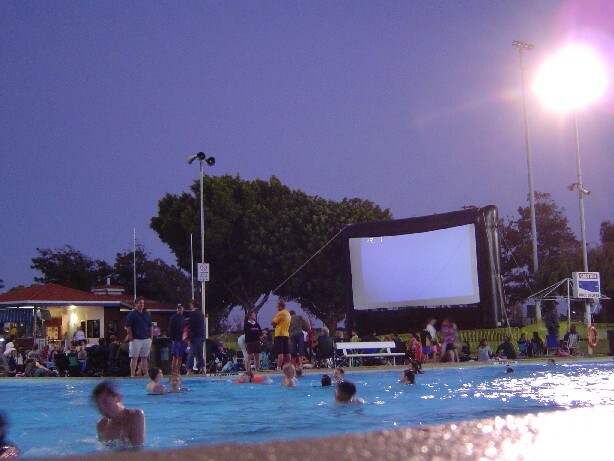 Thanks to those neighbors of the pool too for putting up with the traffic, parking and noise on those Tuesday nights. I have been told by many how much their children and their families enjoy this summer activity. Most of our swimmers come back year after year – we watch them grow up. There are not a lot of activities where children of all ages can be doing the same thing at the same time. And there is room for everyone. Some go on to swim on year-round teams, some swim at the High School level and some participate just because it is fun! New Car Clean and Shine! Get a top quality auto detail at a neighborly price. One detail - $20, two details - $30 or a full detail -$60. Full detail to include wash and wax, carpet shampoo, seat shampoo, interior cleaning, vinyl dressing, leather dressing and tire shine. Customize the right detail for your vehicle. Large SUV or Mini Van $10 extra. Call Michael Brown to schedule your detail today. 404-895-5367, 588 Lees Trace SW.
Want to make watching home movies incredibly easy? Transfer those unwieldy 8mm and VHS home video tapes to simple, reliable, long-lasting DVDs. My name is Dylan Suhr and I'm a recent graduate from The Walker School. Allow me to make a high-quality transfer of your 8mm and/or VHS home movies to DVD – at a very affordable price. For more information, call Dylan at 404-775-6115 or email dylan.suhr@gmail.com. Three kittens are looking for loving homes. Male Orange Tabby, Female Orange Tabby with white accents, and Female Grey Tabby with white accents. Approximately 8 weeks old, excellent health, first vet visit/shots have been completed. Contact Marilyn Smith 770-429-0668 or 404-932-0799. I am a 16 year old resident of Lee’s Crossing and am paying off a car. Please let me bleach, clean, and paint your mailbox post (my parents will supervise). I will use approved paint from the neighborhood. If you received a letter from the homeowner's association, please let me know the date you must have your mailbox painted to avoid a fine. Cost is $20. Please call or text Matt Filer at 404-259-6449. The sale is located at the corner of Acworth Due West Road and Kennesaw Due West Road in the Due West United Methodist Church Family Life Center 3956 Due West Road, Marietta. Admission is FREE. Sale dates are Thursday, August 25, 9:30 a.m. -7:00 p.m.; Friday, August 26 9:30 a.m. - 6:00 p.m.; and Saturday, August 27 8:00a.m. -12 noon. Many items are 1/2 price on Saturday ONLY. We offer high-quality items at greatly reduced prices. Find gently used children's, junior’s and teen's clothing, accessories and shoes. We also offer FORMAL WEAR, school uniforms, baby items / furniture, electronics, books, CDs, DVDs, TOYS and more! For more information, please call 678-318-1908 or email treasurechest.duewest@yahoo.com. Culver Johnson would like to recommend Taylor Construction. They installed all new insulated windows on our home. The project was handled very professionally from beginning to end. The installers worked quickly and explained every step. The quality of work and materials was very refreshing. If you have noticed the newly opened vista across the field at the entrance and across to the tennis courts at the clubhouse, then you are viewing the expert job done by the Bartlett Tree Service who has recently completed work including extensive trimming and removal of dead and overgrown trees and dangerous limbs. This company not only fulfilled their contract satisfactorily for a fair price, but they also were very cooperative and conscientious giving arborist advice and making every effort to assist in the spreading of the wood chips. If you are seeking a tree service, give them a call.